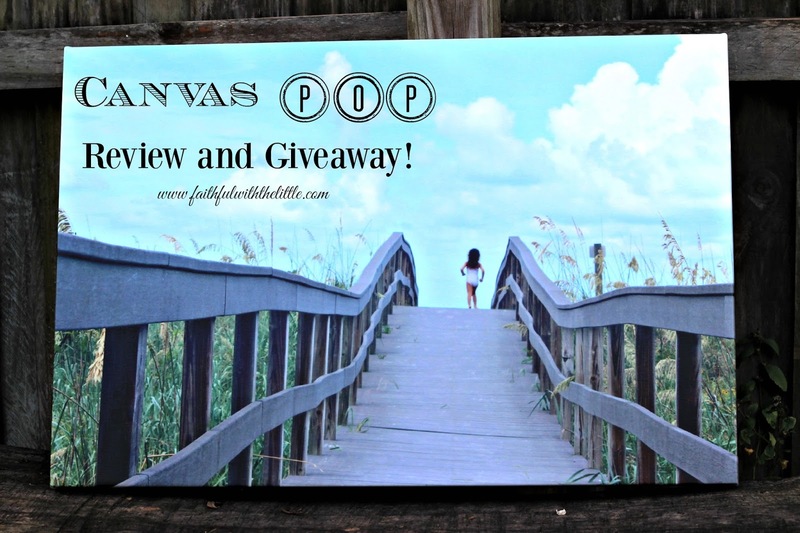 faithful with the little: Canvas Pop Review and Giveaway!! If you haven't already noticed, I love taking pictures! I feel like every time I focus in on my subject (mainly my children) and push that button, I am capturing a memory that will last far beyond mine. I know all too well how fast time is flying by. I will totally forget about something and then see a picture and be brought right back to that time and place. I am SO excited to be partnering with canvas pop to give you the opportunity to win a beautiful 16x24 canvas!!! With Christmas literally weeks away I can not think of a better gift for you and your loved ones. Canvas Pop is a trusted company that is determined to produce and deliver the best possible canvas to your doorstep. Check out canvaspop.com and watch their cool video that shows exactly how the prints are made and packaged. My kids had a blast with the bubble wrap when we received our package! I have to admit that I have thousands of pictures on my computer that I have not yet printed. I would love to display some of them in my home but I honestly haven't gotten around to printing them out and finding the right frames. With Canvas Pop the work is all done for you. You don't even have to frame the canvas and the canvas comes ready to hang on your wall as soon as you take it out of the package. The hardest part for me was trying to decide which photo to choose for my canvas. I even changed my mind in the process of ordering and Kristoffer from Canvas Pop was so patient with me and my indecisiveness. Not only will they work with you through the process if you have any questions or if you are at all unsatisfied but you can also return the print and get it made just how you want or get your money back. 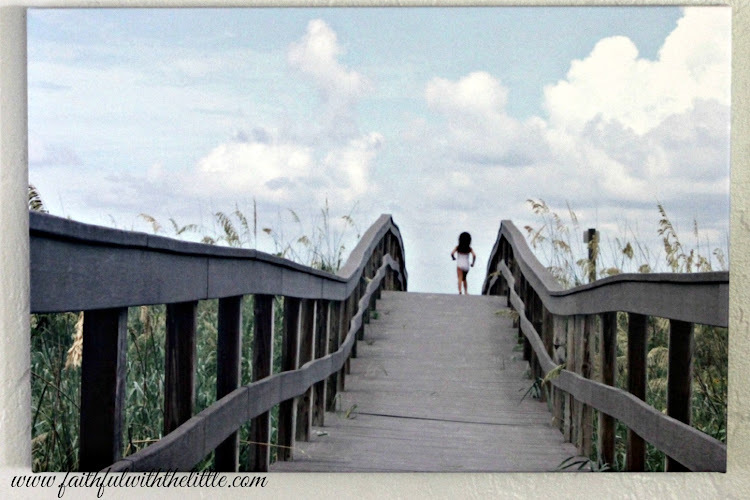 I finally decided on this photo of my daughter running on the boardwalk to our favorite beach. This beach has a lot of memories for my family and I. It's where I met my husband, where he proposed, where we go on dates and go all together as a family to enjoy the beach. So obviously, I love looking at this print. Not only does it conjure up precious memories to me but the color and quality is beautiful. It is an exact replica of the picture I took. I am no professional but I feel like a canvas can make any photograph not only look professional but a focal point of your home. I wish I had more wall space because I want to fill them all up with canvas pops! I am definitely going to be finding more space and ordering more in the future not only for myself but for Christmas presents. Whatever you are passionate about in life a canvas pop print can convey it on your walls. Whether from your squared documents of life on instagram or a favorite quote, you can have it canvas popped! I think I just coined a phrase. I hope you will take advantage of this great offer and enter to win your own professional quality canvas! I am very pleased to announce that the giveaway will be open in the US, Canada and the European Union!! Yay! The giveaway will start 12/ 2/15 and last until 12/16/15. Just in time for Christmas! Okay, now all you have to do is click on the picture below and enter! GO! Wow this is perfect. 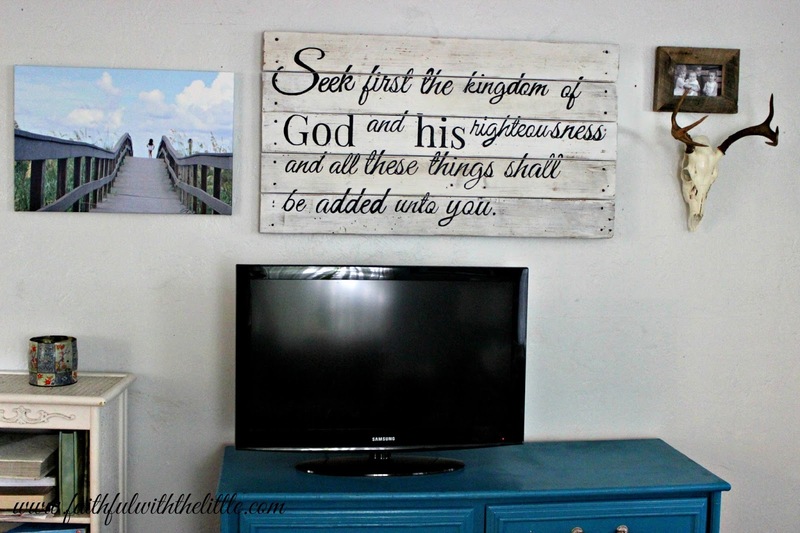 Also I love the photo you picked and how well it incorporated into your home. Giveaway entered! Thanks! I loved how it turned out! Thank you for sharing this with our friends at Sitting Among Friends and thanks for the chance to win. What an awesome giveaway! Thanks for sharing (and for linking up to my giveaway page)!